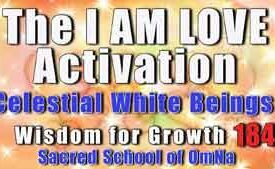 Greetings, we are the Celestial White Beings, labelled so because of our pure white celestial light. We reside within the Multi- Universal and Cosmic Levels of the Creator which means that we receive the intentions of the Creator in their purest form before they are distributed through the 352 dimensions of the Creator’s Universe. While there are many planets, stars and places of inhabitancy within the Universe of the Creator, Mother Earth and all those that reside upon her are held dearly in our hearts. The Earth is moving through such tremendous acceleration in both technology and spirituality that many on the inner planes are investing their energy, love and support to create a most beautiful outcome. The Earth is creating a template of light, consciousness and growth which will be used for generations to come on the Earth and other places of inhabitancy throughout the Universe of the Creator. The template will be the most unique and awe-inspiring creation because it will hold the wisdom and knowledge of how to reawaken and return to oneness with the Creator as a collective civilisation and as an individual. Many civilisations such as the Lemurians, Atlanteans and even the Ancient Egyptians as a collective consciousness and civilisation tried to create a pure template that would guide and support other civilisations in moving through ascension as a collective and experiencing the greatest embodiment of light never before experienced on the Earth. Those currently present upon the Earth, whatever age they may be, have consented on a soul level to try once more to create and form this divine template of how to achieve collective ascension. 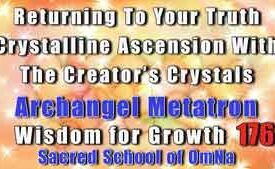 Personal ascension is appropriate and needed, your own inner exploration and spiritual advancements will add to and energise the creation of the Collective Ascension Template, however there is a greater goal that resides within the depths of your soul and that is to serve others and support their inner reunion with the Creator. This simple mission of being of service is the beginning of the creation of the Collective Ascension Template. You may have noticed that you are more eager or inspired to help, care for and inspire others, or maybe you find yourself becoming irritated that the people around you aren’t progressing spiritually quick enough. These are all symptoms of the mission of creating, awakening and grounding into your reality the Collective Ascension Template. Why is the Collective Ascension Template Mission Manifesting Now? Humanity has moved through a major transitional process which began many years before 2012 and is now beginning to subside. This transitional process allowed for many illusions, and old templates of light and consciousness to fall away. Humanity realised that they could access an incredible power within them and had the divine right to use it. A focus has been placed on releasing the illusion of being unloved, controlled, helpless, judged or judging, unable to make a difference, and being disconnected from the world, self and the Creator. With these boundaries beginning to fall, humanity is able to realise the power they hold as individuals and how they can positively impact their reality, and more importantly the power humanity has as a collective. With an awareness of individual and collective power growing so this allows the mission that many generations have tried to achieve to be revealed once more. It is as if it has been dormant, waiting until the appropriate vibration and frequency of energy is achieved once more upon the Earth. Your soul has been present within each civilisation that tried to create the Collective Ascension Template and so this is why, we, the Celestial White Beings, are bringing to your awareness this mission which you may have long forgotten and yet its energy and presence remains within your soul. Some of you may be holding onto wounds from past experiences of creating the Collective Ascension Template, you may also hold within your being parts of the template which were created before and are still relevant and needed for this current creation of the Collective Ascension Template. In truth, you hold within you a healing process which will allow you to gift new wisdom and light to the template as well as ancient wisdom which may have been long forgotten. There is a need to re-access this abundant energy within you and gift it to the Collective Ascension Template Chamber within Lord Buddha’s Planetary Level Ashram which has been created to house the construction of the template. 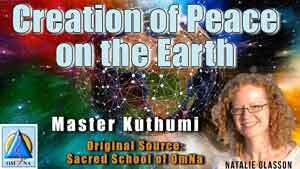 The template is being formed by every soul currently on the Earth and this is why it is being housed within the Planetary Level of the Creator’s Universe. With a new energy, era and dimension dawning and awakening upon the Earth, a sense of liberation is manifesting and humanity is being given the role of creator. Becoming the creators of the New Earth, an Earth that all wish to experience, Earth that is aligned so deeply with the Creator and the Creator is recognised in every present moment. One person leading the Earth forward to experience heaven on Earth is no longer appropriate and will only manifest in situations which have been previously experienced. 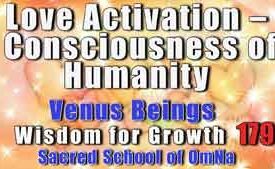 Humanity is being invited to re-discover their untied consciousness, their infinite connection with all that is the Creator, including all sentient beings on the Earth and Mother Earth herself. When this natural and eternal connection is once again realised then humanity will regain their power as a collective, this will be the foundation of the Collective Ascension Template. From there on, the Collective Ascension Template will record all that humanity achieves as individuals and more importantly as a collective to heal, create peace and raise the vibration of the Earth. Many beings on the inner planes will assist in fine tuning the template and offering humanity guidance to create the most beautiful existence for the Earth. How Can You Play Your Role in the Collective Ascension Template? 1st Practice: There is first a need for you to recognise that your soul has agreed to support the formation of the Collective Ascension Template for the Earth now. This means that your spiritual development, healing and inner awakening is positively impacting the creation of the template and a guide for generations to come of how to evolve through the Earth school as a collective consciousness. In order to embody this fully, there will be a need for you to let go of the understanding that spiritual growth only occurs through suffering, pain, hardship and challenges. You may believe that you have let go of this belief, we, the Celestial White Beings, invite you to contemplate any suffering, pain, hardship and challenges that are continuing to manifest in your reality. The more you can detach from the drama of such situations and simply realise the message or change that needs to take place, doing so without affirming it as an opportunity to grow spiritually, the more these situations will dissolve. There is a need to open your awareness to the positive experiences in your life or the shifts that occur without drama, affirming these as powerful lessons and growth processes of your spiritual evolution. This will not only create a major transformation within your being and life, it will impact the collective consciousness of humanity majorly. Resulting in less disasters, suffering and pain of all forms for humanity as a collective and inhabitant of Mother Earth. 2nd Practice: Focusing upon your connections is immensely important. There is a need to build your awareness of your connection with your body, etheric body, emotional body, mental body, spiritual body, soul, as well as your creations in your reality, the people in your life and across the entire world. The animals, nature kingdom, in truth everything that is a part of the Earth, which includes Mother Earth. This can sound like an enormous and lengthy task to achieve and yet it can be achieved in a few minutes of meditation or quiet time. Allow yourself to enter into a peaceful state of being, focusing on your breathing. Imagine the energy of your soul within your heart and recognise the colour it is emanating. Imagine, sense or acknowledge that you radiate the colour of your soul into your entire body, recognising each part of our body and auric field for a moment. Then extend the colour of your soul into your surroundings imagining the light connecting with people, situations, even your home and surrounding areas. Then expand the energy of your soul further to connect with all the people on the Earth, all the animals, nature, everything you can imagine, as soon as you think of the connection it is created. Then simply enjoy the experience of being in the energy of the collective. As you have emanated the light from your soul, this means you are connecting to the soul level of all beings, you are connecting with the light in everyone and are completely safe and protected. The more you experience the practice the more it will become your natural existence, accessing the power of the collective at a soul level. You will also notice the way you act and react to people being very different. Wisdom from the collective energy of all upon the Earth may dawn to inspire you. 3rd Practice: Be aware that when you achieve or approach things as a collective, you access a power that creates beauty, transformation and truth. The collective can mean being connected and accepting of your entire being, co-creating with your guides, angels, etc, or realising that when you join with other human beings with a unified understanding much can be created. Try to approach your reality, experiences and create transformations from this perspective. I allow myself to connect with the Collective Ascension Template within Lord Buddha’s Planetary Ashram. I allow myself to receive its sacred energy and any wisdom it wishes to share with me. I recognise myself as a co-creator. In my communication with you today, I, Archangel Michael wish to share with you tools from the Angelic Realm and my own energy to gift to you adding your ascension and empowering your current journey upon the Earth. The tools, techniques, and practices I wish to share with you are focused upon enhancing your spiritual and physical journey upon the Earth, while recognising that both are the same. Your spiritual and physical journey are synthesised, they do not exist separately and should not be recognised as disconnected either. Your physical life is the canvas for your spiritual being and soul to paint and create whatever inspires and fulfils you. When you exist only in your physical reality and do not engage the presence of your soul then life becomes boring, mundane and challenging. When you only engage with your spiritual self and pathway and give less importance to your physical reality you miss the purpose of life and are unable to see the beauty of the Earth. The physical reality and spiritual reality are one and the same, when you are able to recognise this, you access the magic, purpose, and fulfilment of life. During your day encourage yourself to be aware of when you are thinking of your physical and spiritual reality as separate pathways. Examples are when you believe a physical action doesn’t involve the Creator, such as house chores or educational studies. When you feel you need to make time to meditate or need to be in your special space or room to meditate. Integrating the physical and spiritual could be meditating on the train, in a queue, while walking in the park or doing house chores. Another example could be making yourself feel guilty for not having time to do your spiritual practices, therefore, thinking of life and spiritual practices as separate. Allow yourself to document all the thoughts and actions that you recognise are creating separation between your physical and spiritual existence, causing you to acknowledge yourself as two separate beings existing on the Earth in the same body. Try to integrate easy spiritual practices into your everyday life such as meditating, radiating your life, repeating affirmations, downloading light, making requests to the divine. There is a need to recognise your physical body, your physical reality and existence on the Earth as divine and sacred, created from the love and truth of the Creator. When you allow yourself to adopt this perspective you begin to recognise your entire self as already being divine and an expression of the Creator. Thus, the way you act and react transforms as well as your perception of the world around you. If you are a creation of the divine born from love and truth, then what is everyone else? Within your being you have hidden an energy of separation, this energy may have been created in your current lifetime or past lifetime, however, it was most likely created before you entered into the rebirth cycle of the Earth. Therefore you have carried your inner energy of separation with you throughout all your lifetimes on the Earth so much so, it exists at the core of your being, and is an energy from which you create without realising. When you contemplate that there may be an energy of separation within you hiding at the core of your being, you open yourself to realising that you have the power to discover, explore and heal this illusion you have been holding onto. It is important to mention that most souls upon the Earth hold the illusion of serration within their being. Separation is an illusion, it is also an energy that has become trapped and hidden within you, which simply needs to be recognised and released. Within your soul and essence is the energy and presence of integration, it can also be labelled unity, oneness, harmony, and connection. This energy of integration supports your existence on the inner planes and the Earth, it is the divine flow of the Creator that supports your entire being. Integration is the essence of the Creator as all that is the Creator exists in oneness and synthesis. When you access your inner energy of integration you recognise your ability to exist in harmony with every aspect of the Creator. This is a very powerful and inspirational way to live your life on the Earth. Observe how the energy of integration impacts you, any shifts or transformations it creates and any realisations that dawn. Create a brief and yet meaningful ceremony in whichever way feels appropriate for you. In this ceremony, you recognise your physical reality as one colour and your spiritual reality as another colour. Then imagine the energy of integration as a different colour of light. See, sense or acknowledge these three colours of light integrating together to create one light. Let this light download into your entire being and imagine it radiating from your eyes. Let yourself imagine you are the oneness of your spiritual and physical reality and view as if through your eyes your spiritual and physical reality as one.